Public Works will also oversee the Wastewater Sewage Plant in Brookfiled (Fieldstone subdivision) when this subdivision is assumed by the Town. Please leave a message including time, date and nature of the emergency and an operations employee will contact you. The permit and deposit fees are required in full at the time of application. A Certificate of Insurance is required in the amount of Five (5) million dollars naming Town of Mono as additionally insured prior to permit issuance. The deposit will be refunded once the work has been inspected and accepted by the Town. (See permit for conditions). Make cheques payable to Town of Mono or by using Debit Card (Interac®) at the Municipal Office. Completed applications, including payment, may be mailed or hand delivered to the Mono Municipal Office. Remember: all of the permits require Utility Locates to protect your infrastructure. 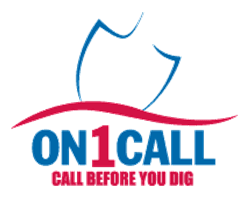 Call Ontario One Call before You Dig» 1-800-400-2255. OGRA has compiled a series of helpful reminders for safe winter driving techniques. You can access their materials on the OGRA SnowHow Campaign page. They have also prepared a few short winter driving videos. Please remember to drive according to weather and road conditions, which means to slow down and provide more stopping distance than what you normally would for dry roads and weather.